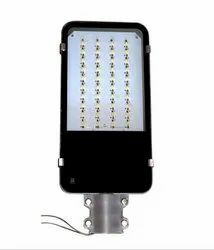 LED street lighting system is an integrated light that uses light emitting diodes(LED) as light source. Led street lighting fixtures enhance illumination along city streets while providing savings through increased energy efficiency, decreased maintenance needs and longer rated lifetimes. LEDs have become the driving force in the evolution of street lighting. The combination of improved nighttime visibility and safety, reduced maintenance/operational costs, no toxic chemicals and a decrease in carbon emissions have made LED lighting systems a top consideration for municipalities and utility companies everywhere. 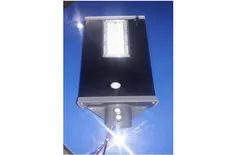 LYRA-S-W-SERIES LED SOLAR STREETLIGHTS is the technology of obtaining usable energy from the light of the sun using semi conductor materials an this is energy efficient lighting technology. Lokozo lights are a range of high-quality luminaries designed to reduce lighting costs without compromise to the visual quality of outdoor environments.